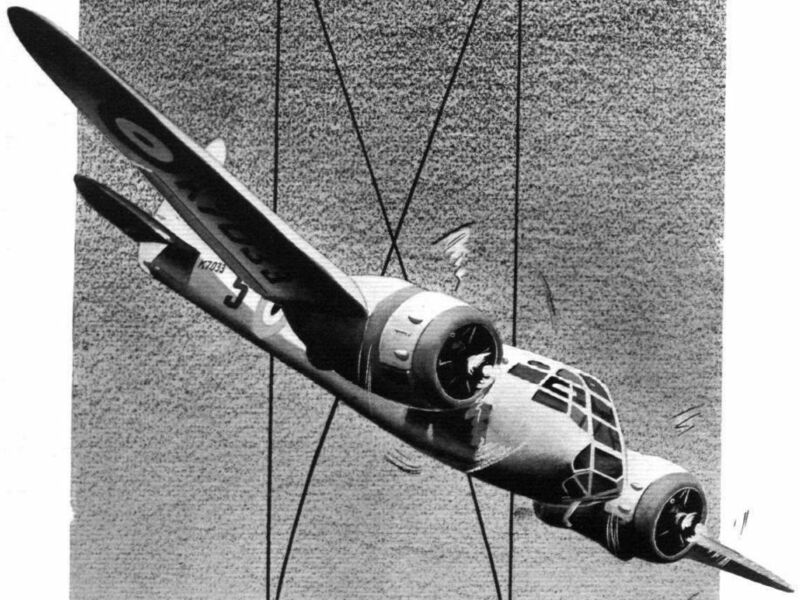 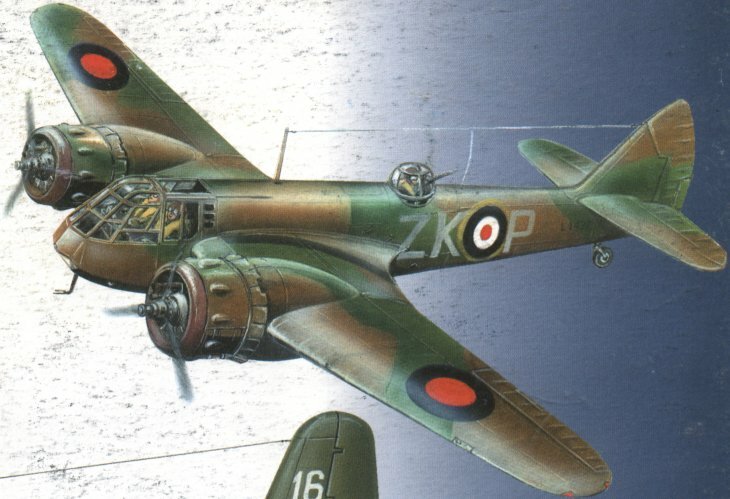 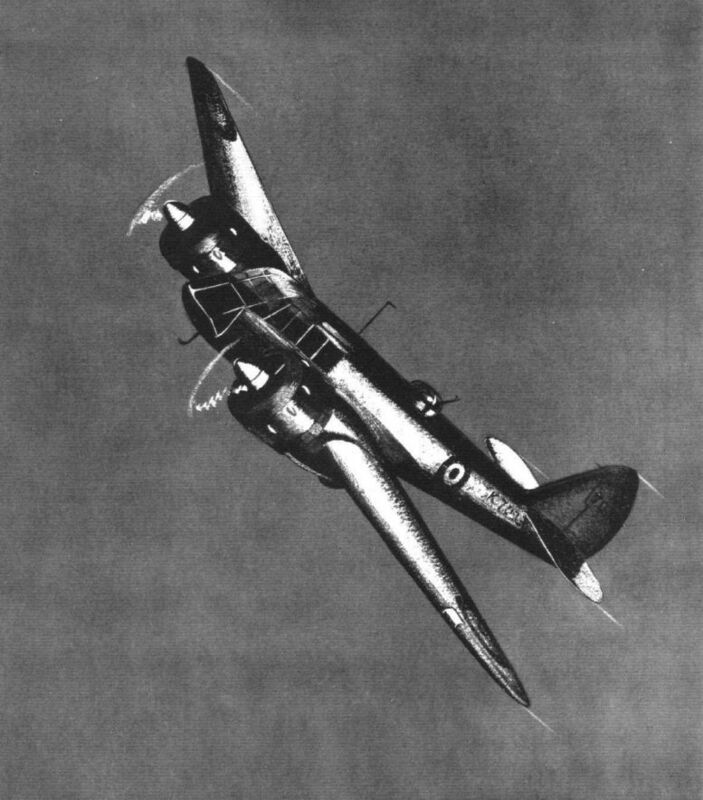 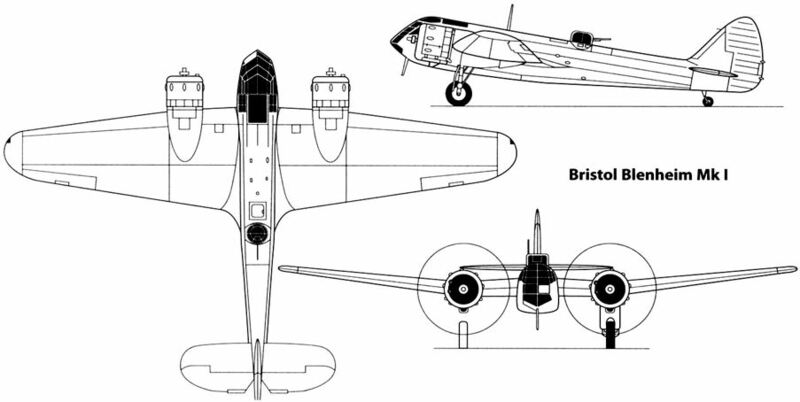 Bristol Blenheim Type 142M high performance bomber fitted with two Bristol Mercury VIII engines. 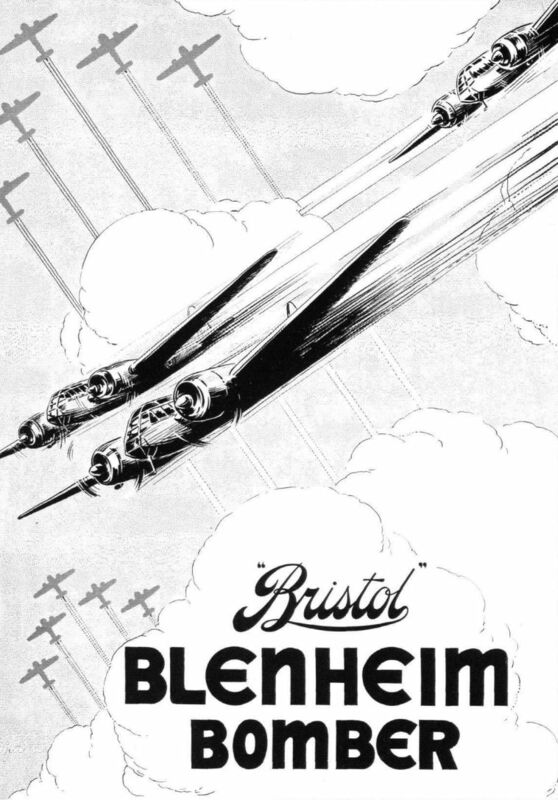 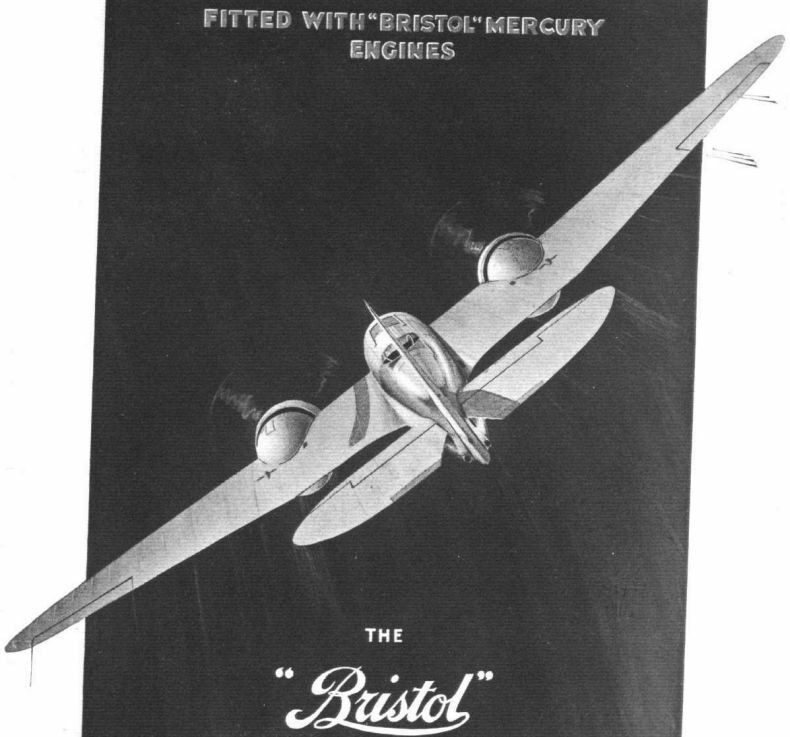 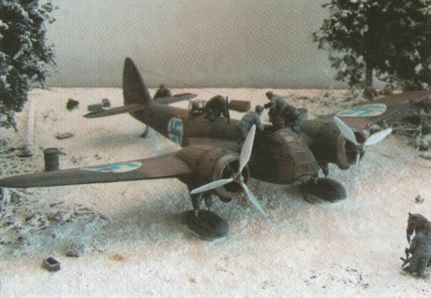 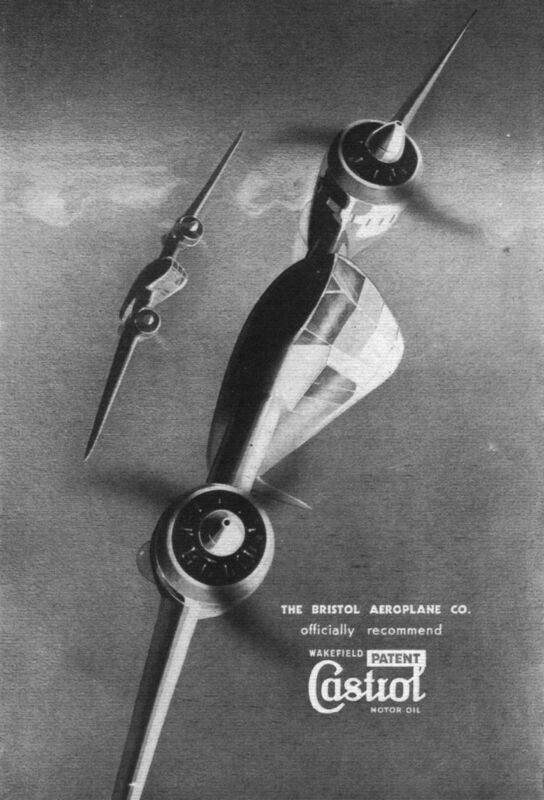 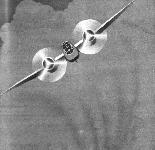 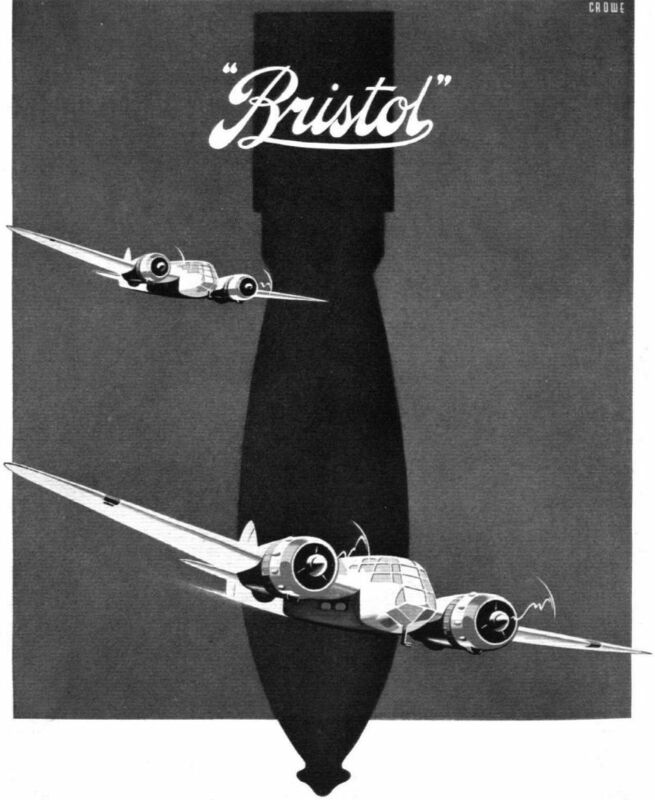 The Bristol "Blenheim" Bomber (Two Bristol "Mercury VIII" engines). 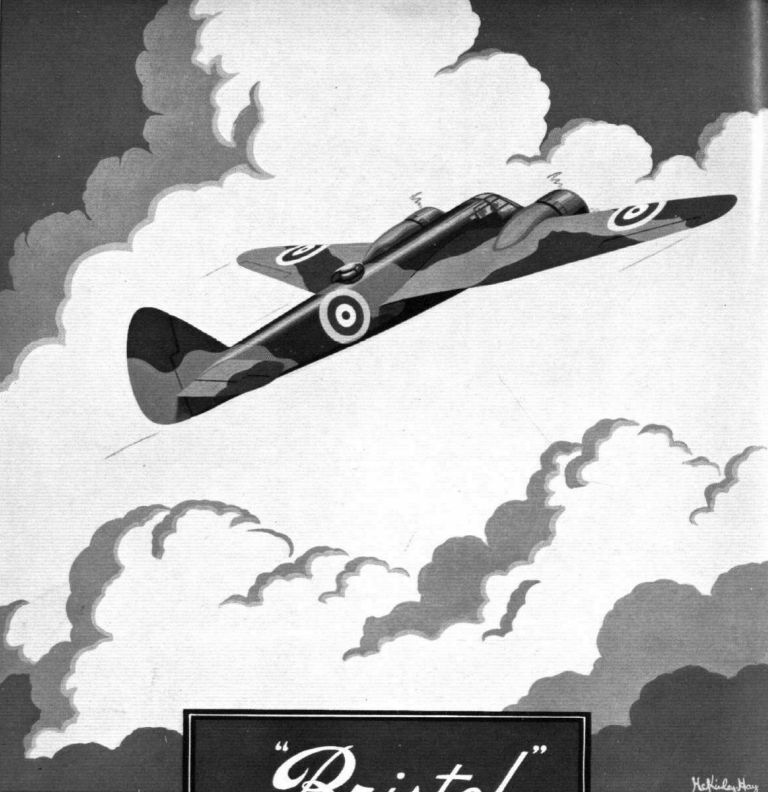 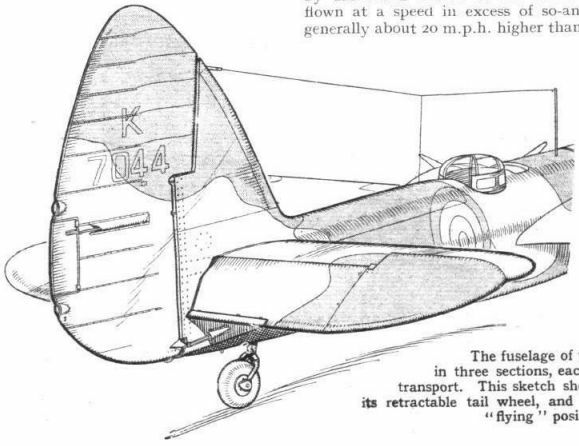 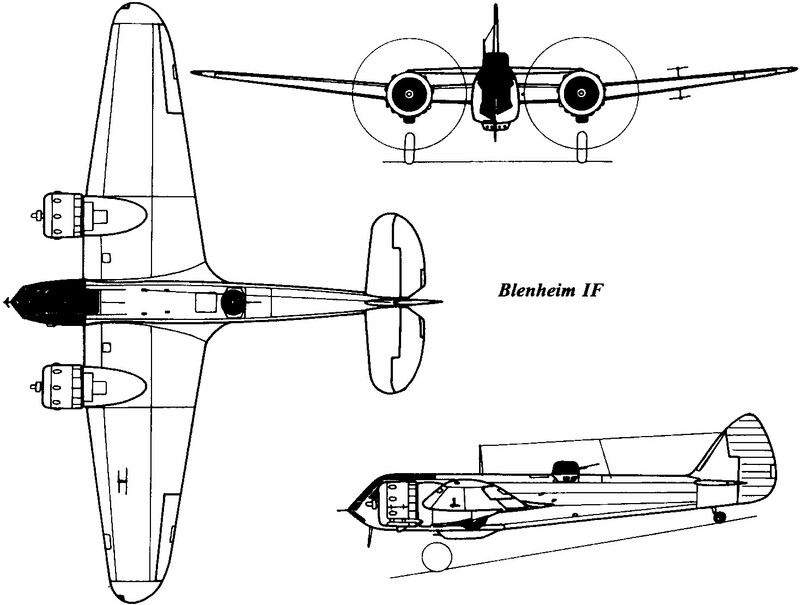 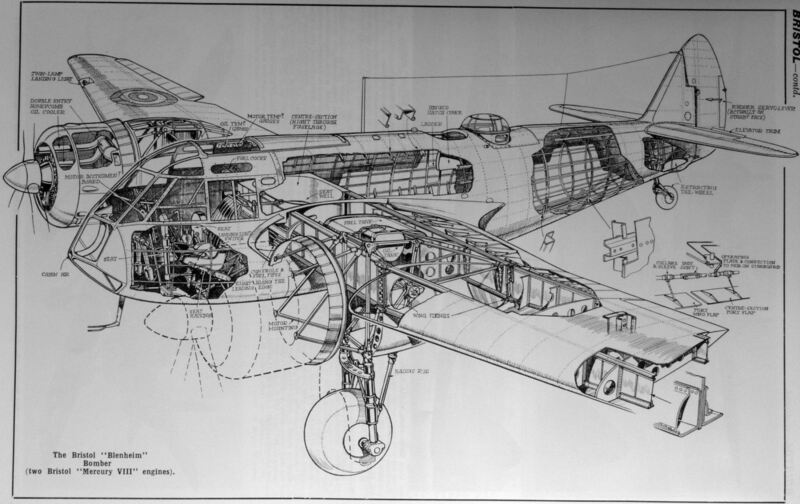 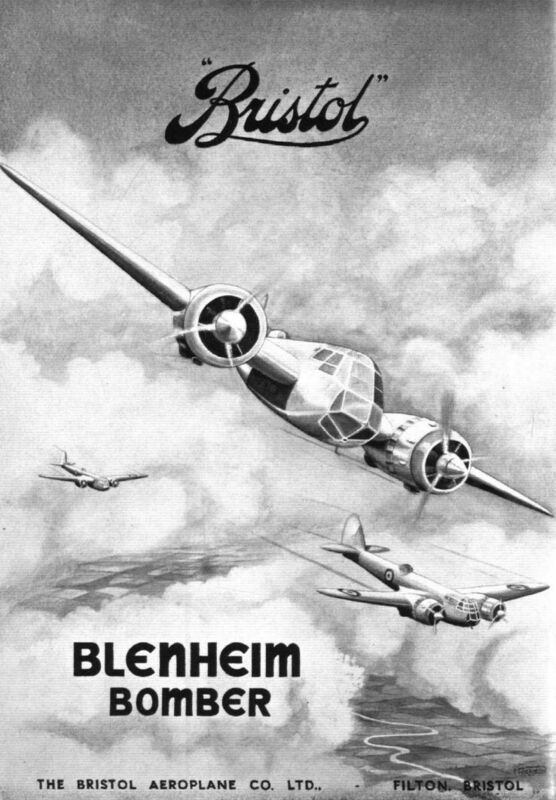 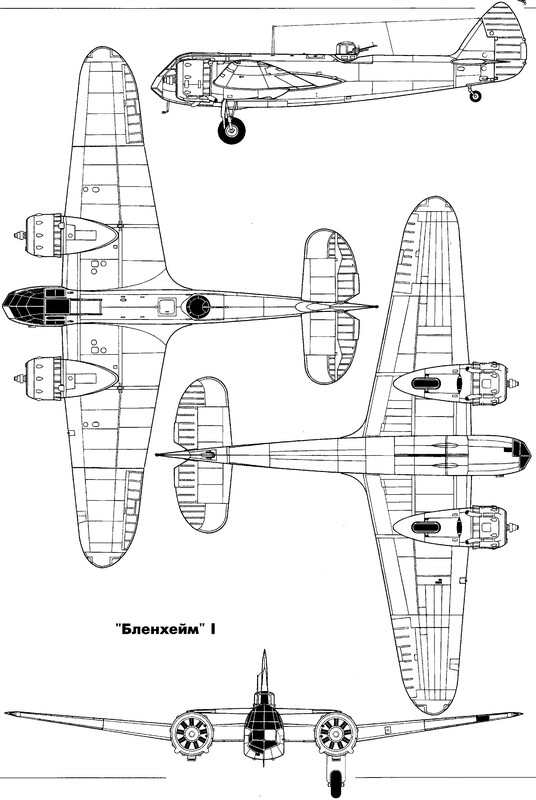 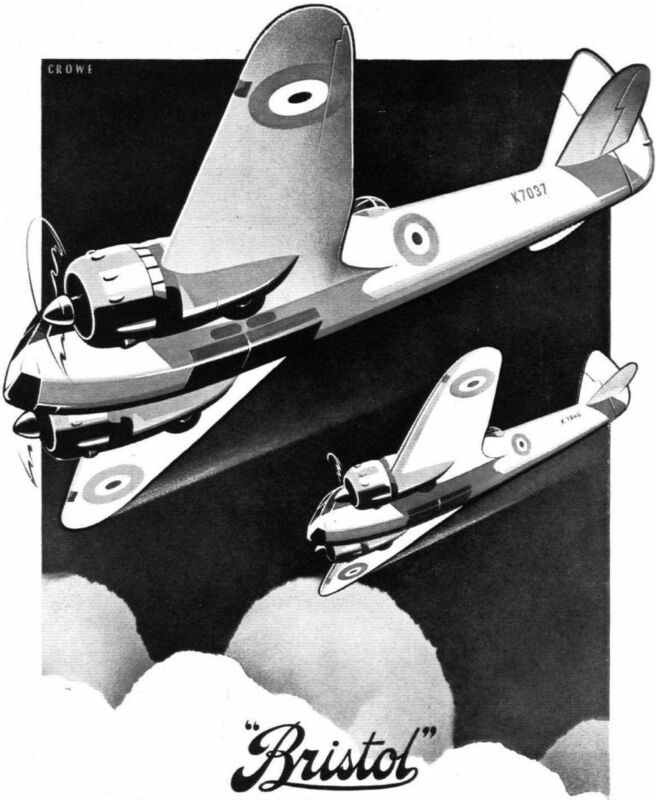 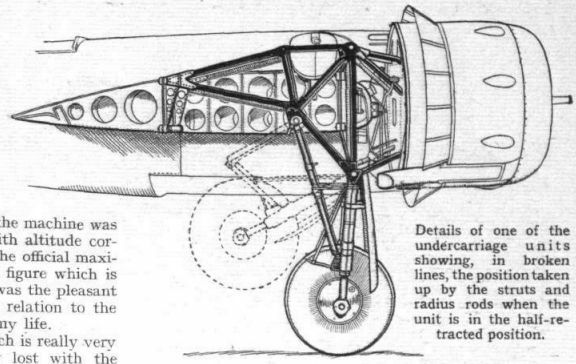 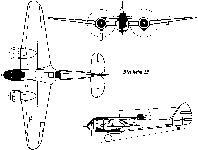 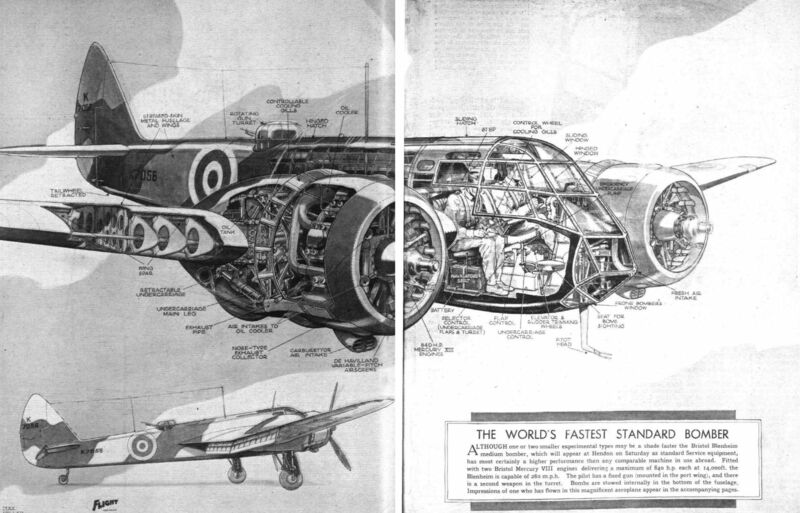 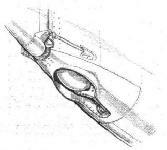 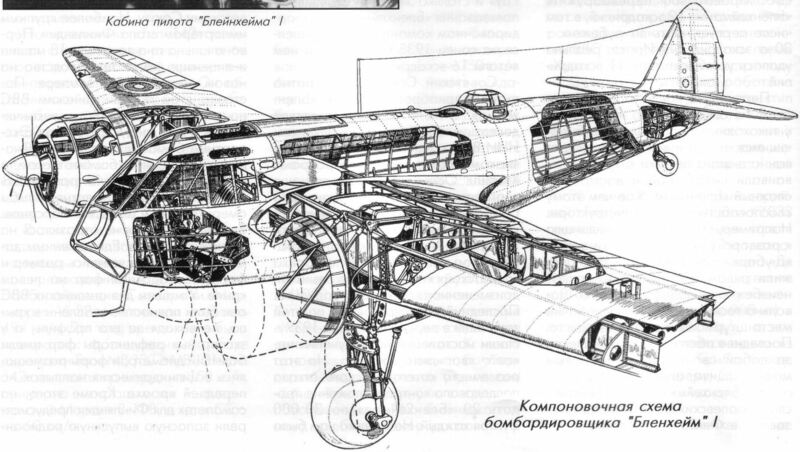 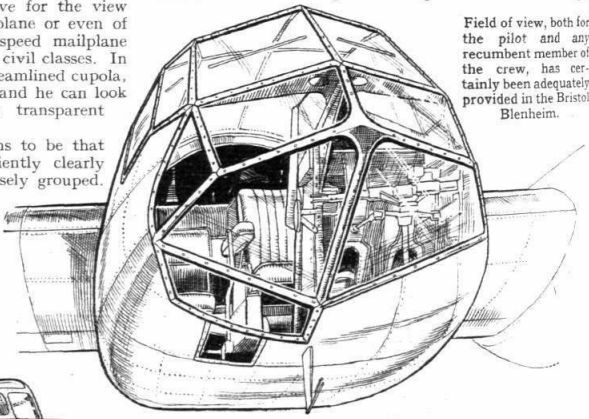 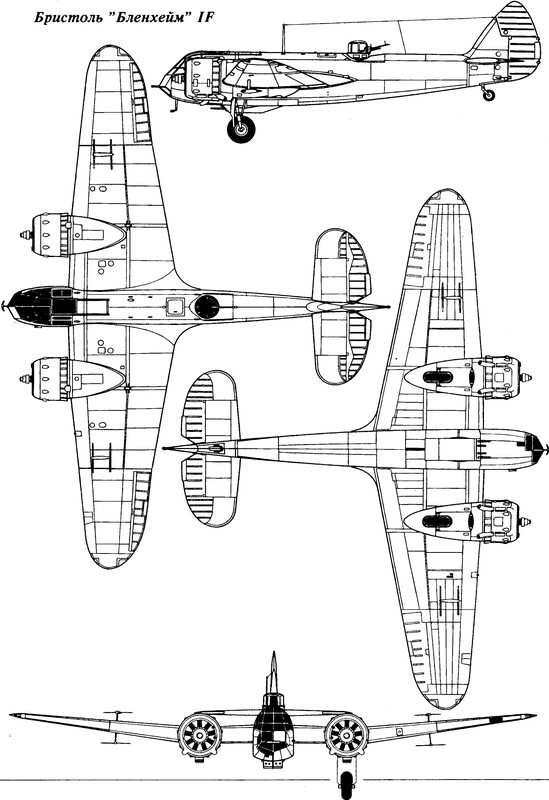 The cut-away drawing of the Bristol Blenheim medium bomber reveals not only the comprehensive equipment but the power plants (Mercury VIIIs). 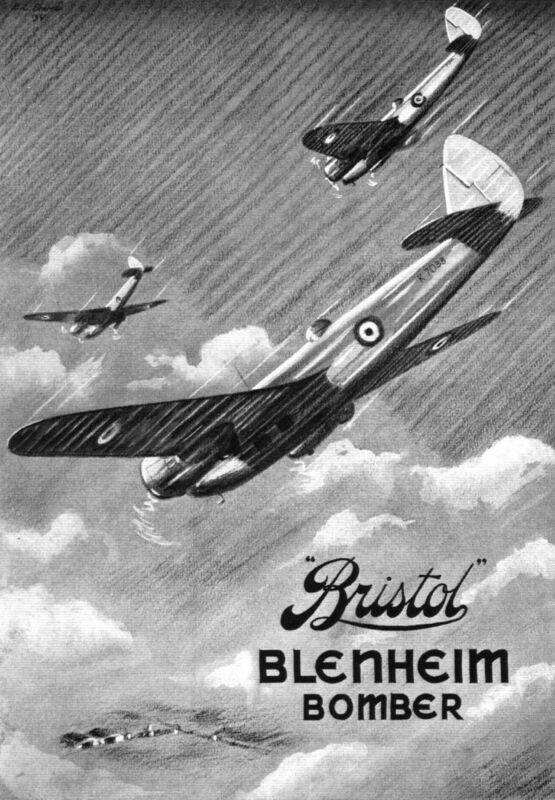 Field of view, both for the pilot and any of recumbent member of the crew, has certainly been adequately provided in the Bristol Blenheim.